Dave Banks is a documentary film-maker, writer and photojournalist with 30 years experience of international documentary-making, news and reality program filming. Dave's work has been recognized with 13 Emmy Award nominations; he has won three Emmys, two International Monitor Awards and one ADDY Award for writing. 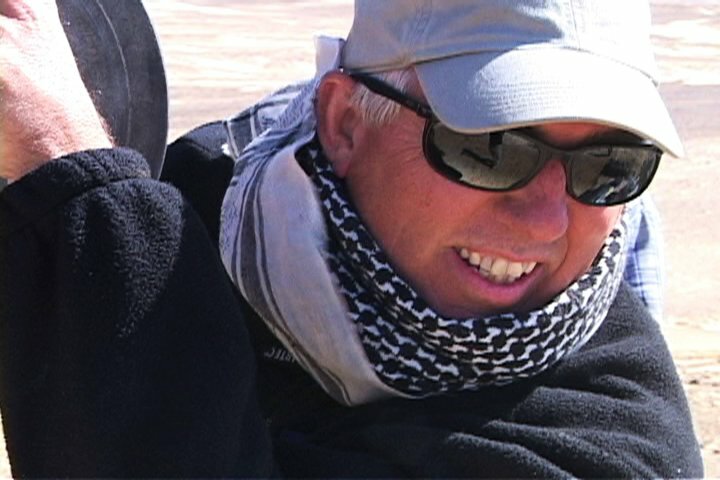 Dave specializes in filming remote and hostile locations in the Middle East and North Africa. His client list includes Mark Burnett Productions, Discovery Channel, Cosmo Studios, ABC, CBS, NBC, FOX Networks, Warner Bros, History Channel, PBS, MPH Entertainment, Channel Nine Australia, London Weekend Television, BBC1, BBC2, NHK-Japan, German Television, and Canal Television-France. More recently, Dave has taken to sharing his adventures through filming in such offbeat and exotic places on his blog and ultimately, via his forthcoming book 'Cue the Camels' He lives in California with his wife, Denise, and their dogs. He has two grown-up children from a previous marriage.